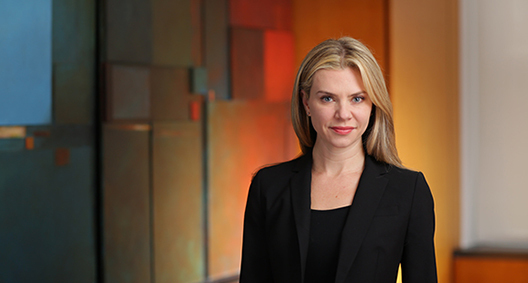 Joanna Wasick handles a broad range of complex commercial litigation, including securities class actions, real estate litigations and mediations, and major bankruptcy cases. She has represented clients in arbitration and mediation proceedings, in addition to matters in state and federal courts, including the United States Supreme Court. Joanna is also a member of the firm’s Blockchain Technologies and Digital Currencies Team, and is a regular contributor to its blog, The Blockchain Monitor. Successfully drafted and argued for a dismissal of all fraud and business tort claims on behalf of a major U.S. retailer client in a real estate dispute. Currently a member of court-appointed counsel to the Securities Investor Protection Act (SIPA) Trustee, Irving H. Picard, for the liquidation of Bernard L. Madoff Investment Securities LLC (BLMIS). Conducted in-house interviews, reviewed documents, and consulted with forensic accountants for a financial institution to help determine its potential exposure in a related pending third-party litigation. For potential use in a foreign proceeding, responded and objected to a subpoena issued pursuant to 28 U.S.C. § 1782 for financial documents. Brought enforcement action, seeking and obtaining recognition of a foreign country money judgment on a financial institution’s behalf. Defended foreign parent and subsidiary in a multidistrict litigation on personal jurisdiction grounds. Researched legal issues, drafted pleadings and prepared case argument. Defended a technological company against a shareholder class action following the company’s merger. Researched legal issues, drafted pleadings and prepared argument. Defended a financial institution and its foreign subsidiary in a contract dispute brought by a non-resident in New York. Researched legal issues, drafted pleadings and prepared argument. Litigated an innocence claim on behalf of a client on death row. Conducted interviews in Haiti to determine whether women victimized in internally displaced camps could qualify for humanitarian parole in the United States. Member of the drafting team for Supreme Court and Fourth Circuit amicus briefing in Gloucester County School Board v. G.G. ex rel. Grimm, in support of the rights of transgender students under Title IX of the Education Amendments of 1972.